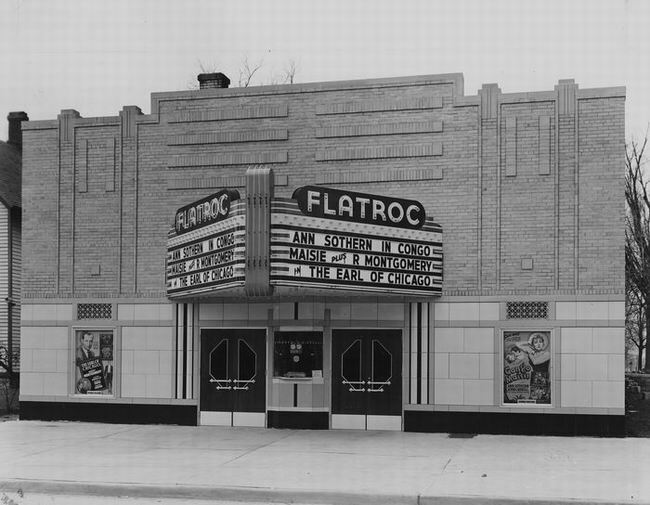 Flat Roc Theatre is now home to several business's. The main business being Adkins Insurance Agency. 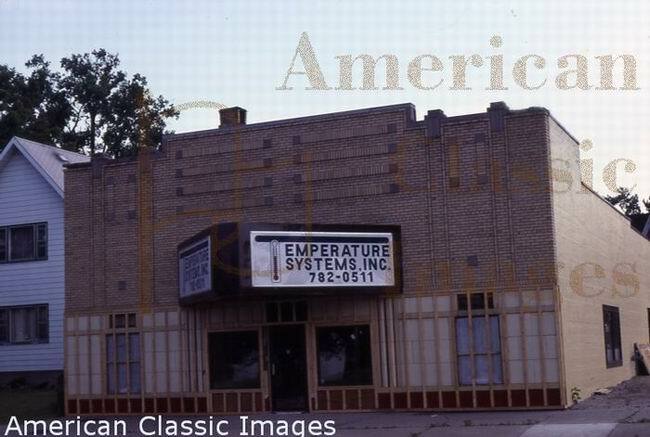 (Since 2011) I can provide updated pictures of the building showing the marquee still being in use and the updates that have been made. Please let me know if you would like the updated pictures and information. It was in the 1940's and Tickets were ten cents each. Always bought the Necco Wafers because of the most pieces for only five cents. My brother and I could go Saturdays for the two features and candy for a quarter. Roy Rogers was King of the Cowboys back then. He and the Lone Range were tops!. There was a 14” Glo-Dial clock with purple neon (I think) to the right of and a few rolls back from the screen. It had the word TIME displayed on top. I assume it once said “TIME TO EAT” which was not uncommon for Glo-Dials. I also remember the “Coming Attractions” bi-fold flyers printed in a different color every week. Spent many an afternoon seeing the double features in the Flat Roc Theatre. Even got thrown out for throwing flattened popcorn boxes. Enjoyed the monster movies the most. 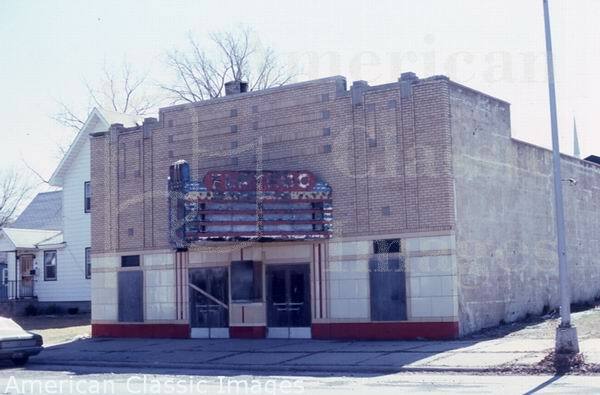 This building was featured in the 1953 short subject, THE CASE AGAINST THE 20FEDERAL ADMISSIONS TAX ON MOTION PICTURE THEATRES, shown recently on Turner Classic Movies. 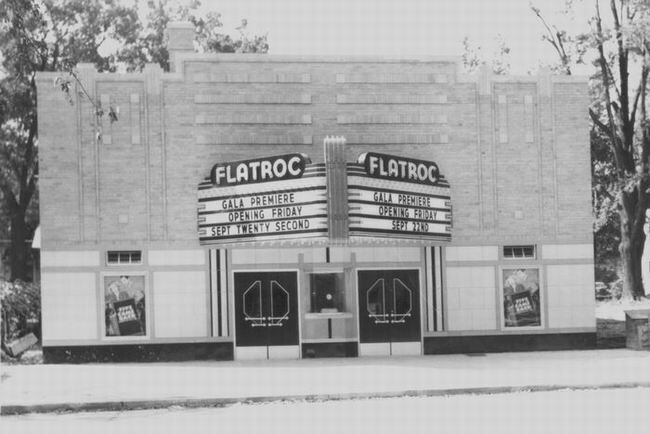 The long lost Art Deco Flat Roc appears to date back to the early 1940's based on the fuzzy picture that the owner of the music store had taped to the counter. 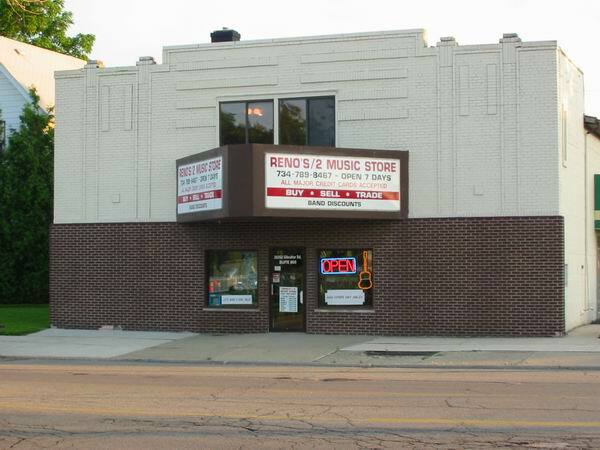 The building today is still in good shape and is being used as a music store.